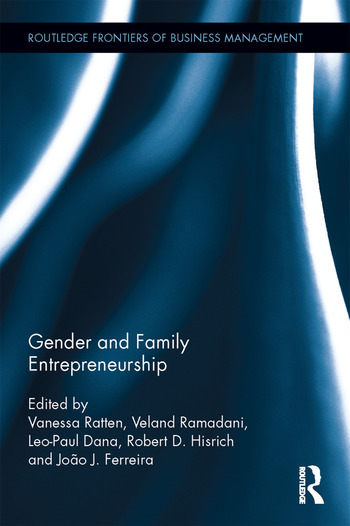 Often, both gender and family entrepreneurship are studied independently, but this book aims to marry both perspectives with a novel approach. This creates a synergy between gender and family entrepreneurship that increases the potential value to entrepreneurship scholarship, policy and business practice. This edited book is a useful and insightful addition to the entrepreneurship field. 6. Family Embeddedness and Gendered Professional Entrepreneurship: Evidence from the Self-Employment of Female Lawyers in the U.S.
10. Heteronormativity and the Family Firm: Will we ever see a queer family business? Vanessa Ratten is Associate Professor of Entrepreneurship and Innovation at the Department of Management and Marketing, La Trobe University, Australia. Veland Ramadani is Associate Professor at South East European University, Macedonia. Leo-Paul Dana is Professor at Montpellier Business School, France. Robert D. Hisrich is the Bridgestone Chair of International Marketing and Associate Dean of Graduate and International Programs at the College of Business Administration at Kent State University, USA. Joao Ferreira is Associate Professor at the University of Beira Interior, Portugal.